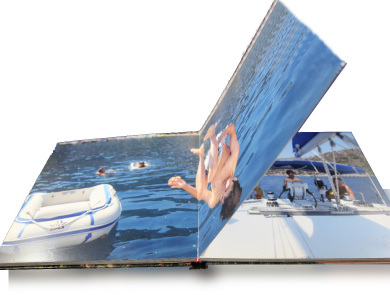 Standard and Luxury Lay-Flat Photo Books with fast 2 to 5 day delivery! 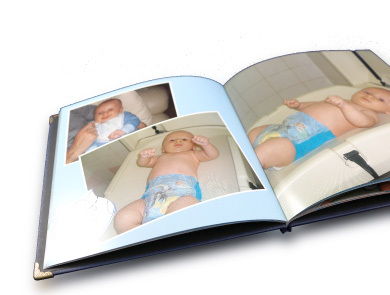 Here we offer two very distinct types of Photo Book printing – Standard Photo Books and Luxury Lay Flat Photo Books. The Standard Photo Book is on to a thick 200gsm Satin paper and bound in such a secure (glue less) way that the pages never fall out. Our Luxury Lay Flat Photo Books are printed in the same way then bonded to card and bound in a unique manner that when opened the pages always lay flat. The finished page thickness is a substantial 1mm. Covers for both photo book types come either in man-made leatherette or you can design your own cover (back, front and spine). The leatherette cover has either a square or heart shaped cut-out where the image on page 1 shows through the front cover! Whichever photo book you choose they will look great on their own or as a gift, in one of our special presentation boxes. For books received prior to midday we will do our utmost to have them in the post within 48 hours!! Since these books are hand crafted please allow 3 to 5 days for delivery – the fastest in the business by a long shot! !